When World War II broke out in September 1939 the US Army - starved of resources since 1919 - numbered just 174,000 men. By VJ-Day, 2 September 1945, a total of 8.3 million had served in an army which had risen to a stable strength of 91 divisions. The Armys contribution to the war against Japan - 20 divisions and numerous smaller units - has tended to be overshadowed by the exploits of the much smaller Marine Corps. 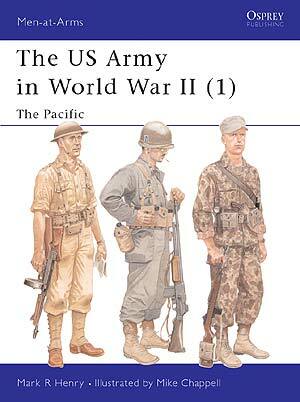 This first of three titles describes the organisation, uniforms and equipment of the US Army in the CBI and the Central and South-West Pacific from 1941 to 1945. Men-at-Arms 342, 347 and 350 are also available as a single volume special edition as The US Army in World War II.